Gabriela joined Mackenzie with experience working as a policy coordinator, as well as in corridor transportation planning. Clients benefit from her extensive knowledge of local and regional codes and regulations and understanding of entitlement approval processes and criteria. Gabriela has a thorough understanding of GIS mapping and spatial data analysis. Her proficiency in post ArcGIS map editing, graphical presentation of results, and editing of final reports and findings is demonstrated in reports and analysis prepared for a range of municipal/agency and private development clients. 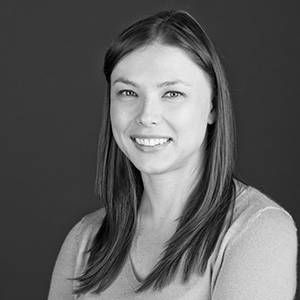 She fills an instrumental role in the firm's regional planning work, including land inventory and development strategy work for a range of municipalities, public agencies, and private development interests. Gabriela helps organize a range of activities and events at Mackenzie as an active member of the firm's Fun and MacMeeting committees. "Exceptionally motivated people with ambitious goals (professional or otherwise) who are always striving for more inspire me." working for an international NGO. I love what I do, I work well with others...and I think I am fun to work with.